While their role has been all too often overlooked by historians, cattle have played an integral part in the economy, ecology and culture of Highland life. Although many of these animals and their keepers have been abandoned in favour of sheep walks and deer forests, their legacy has remained through stories, paintings and songs. 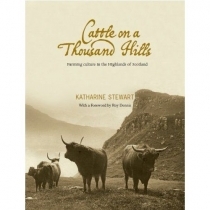 Infused by the author's own experience of small-holding at 'the end of the crofting era', this book offers an excellent insight into the history and colourful customs associated with tending cattle on crofts, on shielings and on the drove roads of old, in an account that is populated by legendary figures, mighty beasts and characters larger than life.